You could argue that there is a lot less focus on story in the fourth Harry Potter movie and much more focus on action. It is a movie of set-pieces and spectacle rather than advancing any of the larger mythology forward but arguably, The Goblet of Fire is one of the more important movies. For starters, it feels much lighter than the previous movie but still has a darker tone buried beneath. There is a good chance to expand the world of Harry Potter forward with the Tri-Wizard cup and it used very well. Introducing other wizarding schools and making them so different is a good touch and the introduction of the two competing schools is a grand-opening for the movie. The events that the wizards must compete in are also impressive and make this movie one of the best in the series. The sequence where Harry Potter must face a dragon is as exciting as anything in the movies yet and is one of the first set-pieces among three very cool “challenges.” The film will keep you guessing and it hides the lack of a larger story very well. Not that this is only action sequences and cool moments. Other stories are progressing, including the welcome addition of some love stories to the series. Seeing the heroic characters struggle with relationships adds some good humour to the series and there are some potential seeds planted for the future which many fans will be wanting to see come to fruition. This humour isn’t enough to hide the darker edge to the movie. Although much lighter than the previous movie, Goblet of Fire is never too far away from death and peril. The challenges get quite scary and the final moments lead to the darkest finale yet, but also the best. The casting of Harry Potter has always been it’s biggest strength and this includes the casting of the biggest villain in the series. Ralph Fiennes as Lord Voldemort is casting genius and he is the scariest element of the series so far. Where the rest of the usual cast step-up to their roles well and they fit each person comfortably, Fiennes steals the whole movie in a scene that last less than ten minutes for screen time. It also means we get a huge leap forward in the bigger saga. These films begin to feel less like stand-alone stories and more like ongoing chapters and Goblet of Fire is no exception. The ending is quite shocking and holds one of the more mature moments in the franchise but it also means you want to keep watching and can’t wait for the next film in the series. 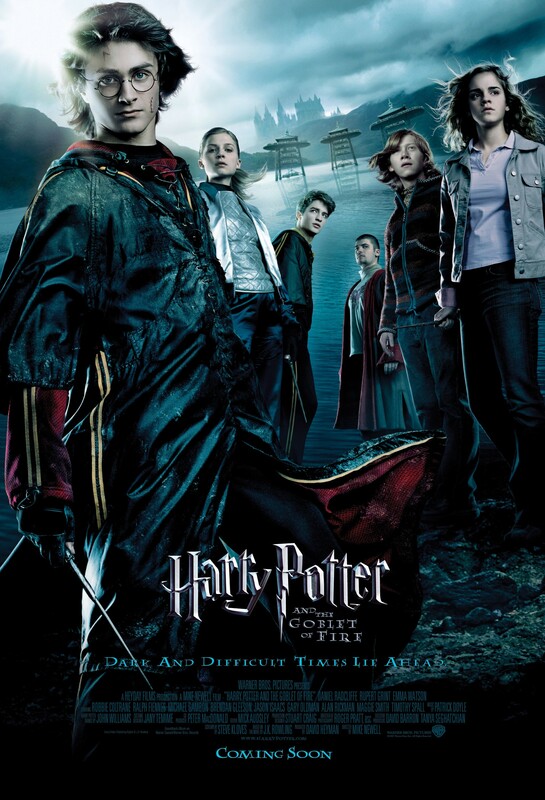 Overall, Harry Potter and the Goblet of Fire is a great installment in the franchise. It is lighter with a some great, humourous moments but doesn’t shy away from the darker edge which is becoming a Potter mainstay. This includes the excellent inclusion of Ralph Fiennes as Lord Voldemort who manages to steal the movie.